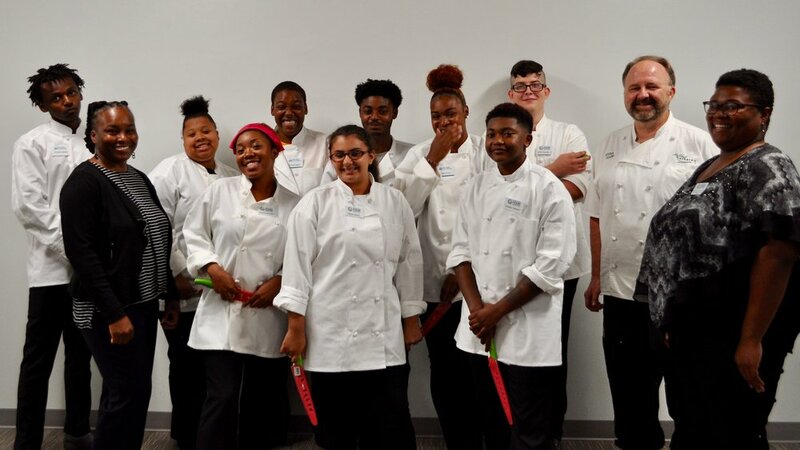 The most recent class of nine students – Destini, Lamont, Zee, James, Mia, Kennedi, Alexis, Meisha, and Zykeydric – all learned basic culinary skills in addition to life skills such as resume writing and workforce preparedness. The August 2018 Fostering Wellness Graduating Class! For their final coursework, the students worked together to prepare a meal including barbecue chicken, jambalaya, green beans, cheese broccoli, and mac and cheese for close to 40 people. Some of the students will to continue in the culinary field, with one already landing a job at Barry’s Café, but all came away with skills that can use in their home kitchen. 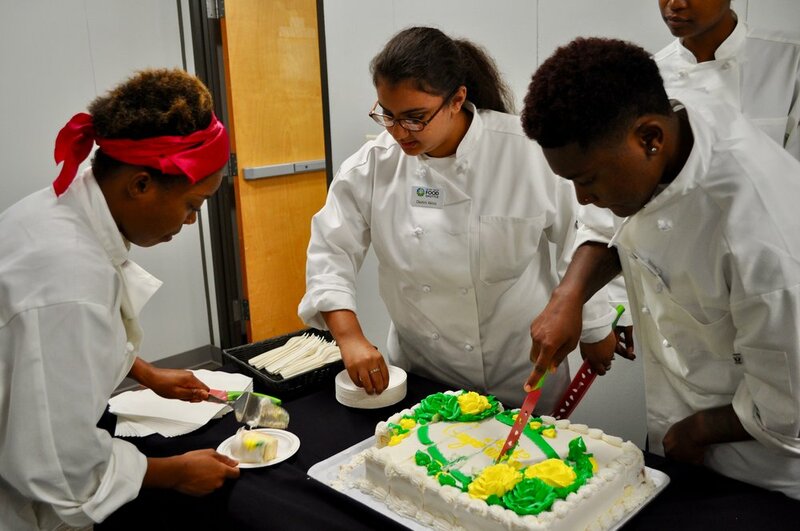 The Fostering Wellness Workforce Readiness Program is a 10-week program focusing on culinary training, employment skills, and leadership opportunities for young people with a history of foster care in Durham, Orange, and Wake counties. The program is the result of a partnership between Inter-Faith Food Shuttle, The Hope Center at Pullen, Life Skills Foundation, SaySo, Dress for Success and United Way of the Greater Triangle, and funded in part by GlaxoSmithKline. More to come on our Culinary Apprenticeship program that will be in conjunction with our newly launched Horizon Catering! Newer PostWhat is the U.S. Farm Bill and how is it connected to hunger?